Hi i have a 24gallon + 7 gallon sump. I also have a protein skimmer rated at 40g. Running roughly 25lbs of live rock in the main + 20lbs of live sand + 15lbs live rock in the sump. I have Cheato in the sump as well. 2 x Black Clowns mated pair i think.. I would like something that will chill out in the middle. The clowns tend to stay in the corner where there is lots of flow, and wont leave there unless they see food. The wrasse is fairly active, but its the only one that is active. Can i throw in a Cardinal? 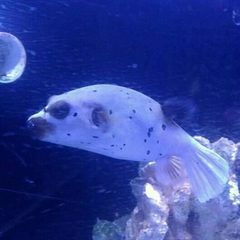 or a Dart Fish? I have read many posts where people tell others not to overstock, so i am sort of scared of overstocking. I have 3 corals currently, a Toadstool (1 head small frag) + Tiny Zoa Colony (like 5-6 polyps) + Red Dragon Acropora. I am diligent on weekly water changes. I do about 4 gallons with RO/DI water. 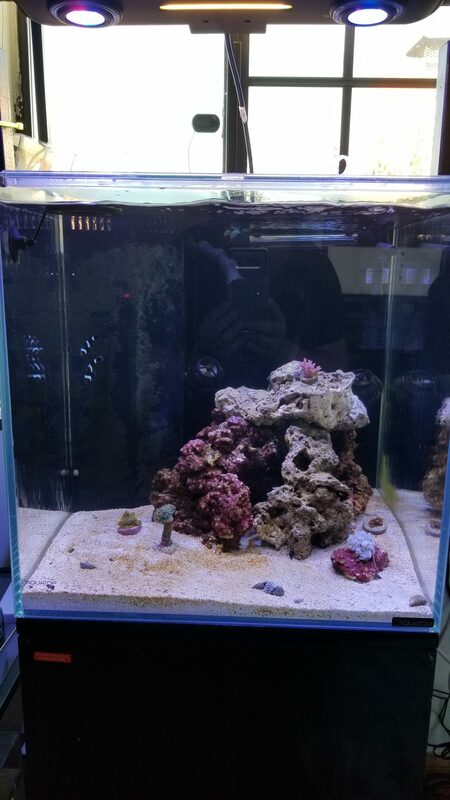 I just want something that will hang out in the center with the Wrasse and not make my tank look so dead. Consider a Tailspot Blenny, or a Clown Goby. Both are chill fish, but with lotsa personality, esp the TSB. Dartfish can be spooky and shy. Just my $.02. I heard clown goby's like to nip at SPS tho? 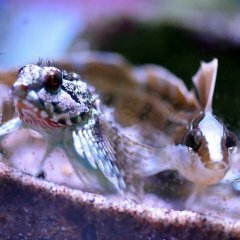 I will do some research on the Blenny... i am assuming these 2 fish wont overcap my bioload on my tank? Your bioload should be fine with those two and regular husbandry. 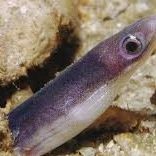 I like tail-spot blennies and Clown gobies too but it’s a hit/miss with eating on the Goby and nipping on both. I’ve never had an issue with my goby but then I have no SPS. It likes to sit in my Devil’s Hand and is quite peaceful. My TSB was fun, but would take no crap from my Ocellarus. If she gave him any, he would grab her by the lip and give her a good shake and she was 3x his size! You could also look at Gramma Loretto but they tend to hang out in caves so you generally only see them at feeding time. They can be cranky too. Stay away from Dottybacks. They can be very territorial and probobly wouldn’t be a good mix with the wrasse ( similar body shapes). So far i am liking the yellow clown goby. I do not have any large coral for it to pearch on tho. Will that be a problem? At best it could only pearch on that rock next to my acro. I came out of cycle about a month ago... and all my corals are tiny as i wanted to take things slowly and grow stuff out. I hear you appreciate your corals more when you do so. Here is how my tank looks right now.. you can see what i mean about it looks sort of dead in the middle.. So conservatively... what would be my max bioload? I am more used to freshwater but i have learned the 1inch per gallon rule does not apply to reef's, especially nano's..
My yellow clown goby has only nipped on one SPS, and that was way after the SPS was starting to die. Other than that it's never touched the few SPS frags I used to have. 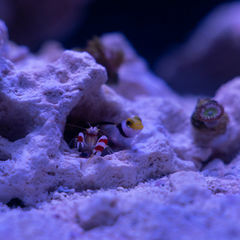 The clown goby will chill on the rock (or at least mine does). I wouldn't worry about Max bioload...your fish will kill each other before you would hit max bioload. Fish are territorial. Your current fish are semi aggressive and get meaner as they age. You have one rock structure to fight over. I would be more focused about your current inhabitants territorial disputes than bioload and pick what could fit based on the type of fish you have. My current clowns are about 5 years now and the female clown isn't shy about ripping up some fins of other fish when she's pissed. She used to be a cute little baby but she is big mama now. I wouldn't be putting a shy dartfish in there with a sixline. A goby might go unnoticed or something like a Royal Gramma might be able to hold its own but nothing is guaranteed. Territory is more an issue as suggested by Tamberav. Firefish is too skittish, the tsb is a slow eater, may have trouble with competing for food. A cool blenny that can hold it's own is the bicolor. I guess what i should do is add more live rock from my sump up to the DT, and create more structures. 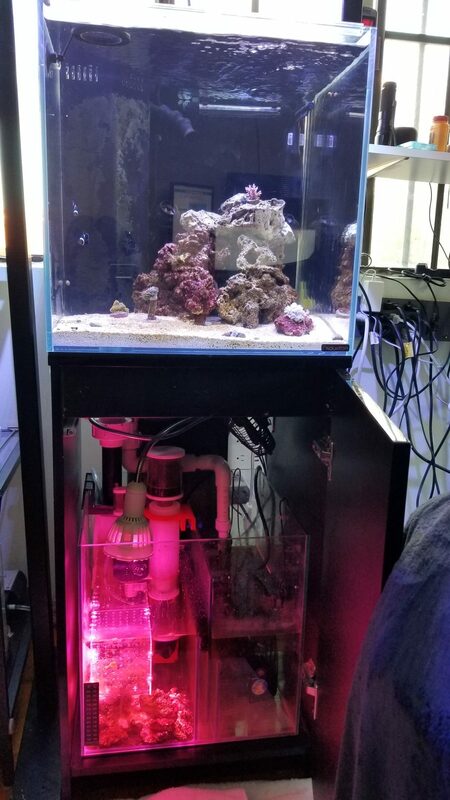 I was saving that entire left side for corals, and was intending on adding more rock as i had gotten them. Right now im acclimating to my new lights, as its way overkill for the tank i have, but couldnt pass on the deal i got for them. 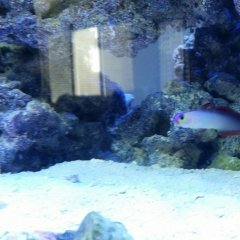 I will pick up a yellow goby and see how that goes, my wrasse seems pretty chilled. He hasn't picked on anything, is more interested in picking stuff off my live rock. The female clown is more punkish to the male, however i think she pissed off the male one day and he bit her lip, which was swollen for like 2-3 days, and returned to normal. The female clown completely ignores the wrasse, even during feeding, you can see them share the feeding ring i have up at the water line. I will see if i can get a yellow clown, and if things goes well, i will then finalize my livestock with a bicolor before they get all get big and decide not to share anymore. You could always go for a starry blenny, they have a very nice personality and will swim around your entire tank. It might be a little much, but if other people say its good I would totally get one. They will eat most frozen foods and even hair algae(not bryposis tho). And like @JoelRHale said "[They have]Best personality I've ever seen in a fish, changes pattern with mood, usually out, natural algae control, easy to care for, isn't a picky eater, tells funny jokes, etc." The starry blenny is a cool fish, great personality. I just had to bring my green clown goby back to a LFS because he did some serious munching on some of my acros. He hadn’t nipped at corals for the first 3+ months and then all of the sudden started. I still, and always will, back the statement that the starry blenny is the most interesting fish I have ever kept in my entire 20+ years of the hobby. I still miss Van Gogh (the name of mine). Blenny's are awesome. So much character and aren't generally skittish. My starry would sit in my hand. I would be wary of adding ANY fish to an established pair of clowns and a 6 line wrasse in a smaller tank. Many folks with 6 lines in tanks in the 200+ gallon range end up removing them when they mature as they turn into pescacidal maniacs. If you do attempt it you definitely want a fish that can hold it's own, so I would rule out a goby or firefish. Blenny might work, possibly a Royal Gramma or Black Cap Basslet.